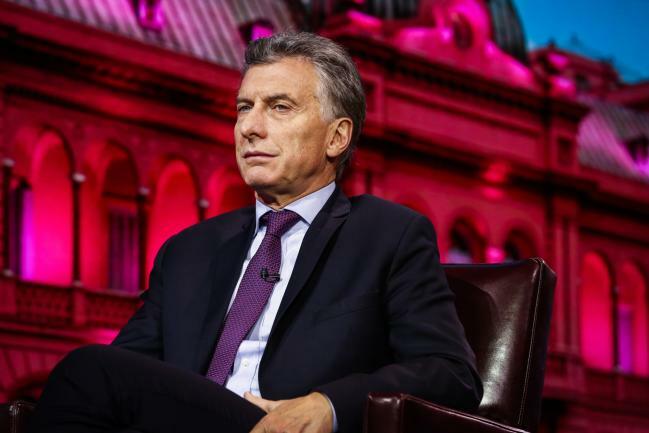 (Bloomberg) — Pro-business leaders in South America’s largest economies are struggling to spark growth as their policies run head-on into domestic crises and emerging market turbulence. Brazil and Argentina have seen their 2018 growth estimates cut from around 3 percent earlier this year to 2.2 percent and 1.3 percent, respectively, according to economists surveyed by their central banks. More downside revisions are on tap, with JPMorgan Chase & Co (NYSE:JPM). recently lowering its Brazil call to a mere 1.2 percent this year. Some analysts say Argentina may even fall into a brief recession. Brazil and Argentina were expected to regain momentum this year after emerging from recession in 2017 under the market-friendly policies of presidents Michel Temer and Mauricio Macri. But their fortunes were reversed when global market volatility exacerbated their domestic problems. An unsustainable budget deficit forced Argentina to seek help from the IMF while political uncertainty is on the rise in Brazil ahead of its election in October. On top of that, a severe drought made things worse for Argentina, while a massive trucker strike paralyzed the Brazilian economy. The Argentine peso has slid more than 20 percent so far this year, even after the central bank raised rates to 40 percent, while the Brazilian real has accumulated losses of more than 10 percent. Other South American economies are faring better so far. Chile grew at its fastest pace in more than five years in April, buoyed by the return of market-friendly President Sebastian Pinera. The Colombian economy is also seen accelerating toward a 3 percent growth rate in 2019. Still, that may not be enough to overcome the drag from the region’s largest economies. “The impact on the region is significant as Brazil and Argentina account for more than half of South America’s economy,” said Pedro Tuesta, senior economist with 4Cast Ltd consultancy in Washington.